Artificial trans-fats are the latest target of the Food and Drug Administration (FDA), which plans to propose new nutrition bans as soon as Monday. 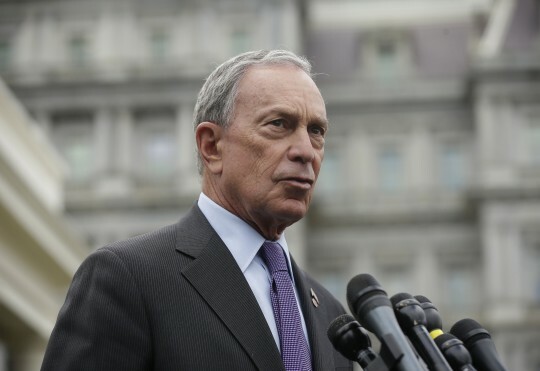 Senior fellow and Risk Analysis Division Director for the National Center for Policy Research, Jeff Stier, denounced the ban as a "horrible idea," comparing it to Mayor Michael Bloomberg’s approach to nutrition control in New York City in previous years. "The FDA's scary assumptions are based on wobbly models piled on top of wishful thinking and doused with junk science," Stien said in a written statement Thursday. These proposals could force food companies regulated by the FDA to further add to the existing 85 percent reduction of trans fats that has occurred in the past decade. Stier claimed the FDA’s 2013 claims of heart disease prevention as a result of trans-fat reduction are even more inaccurate now than they were years ago. "If FDA determines that [partially hydrogenated oils] are not [generally recognized as safe], it could, in effect, mean the end of artificial, industrially-produced trans fat in foods," director of the FDA's Office of Food Additive Safety, Dennis M. Keefe, Ph. D, said in an FDA released consumer update. The newly proposed bans come two years after the FDA announced there was no safe level of trans fats and partially hydrogenated oils. In 2006, Americans ate more than four and a half grams of trans fats daily, according to the Centers for Disease Control. In 2009, consumption was down to about a gram, and today, numbers are surely lower," Stier said in the release. Items mostly affected by regulations on trans fats are baked goods along with fried and frozen foods. "Today, trans fats are generally used at very low levels for specific purposes that are difficult or costly to replace. Used in sprinkles for ice cream, microwave popcorn and Red Lobster biscuits, the remaining trans fats in the diet are there because they serve a specific function." Stier said that top members of Bloomberg’s "food police" have found positions in the Obama administration, including CDC Director Dr. Tom Frieden, who was the architect of the NYC trans-fat ban. "Hold onto your salt shaker," Stier said. "There’s more to come from this administration." This entry was posted in Issues and tagged FDA, Michael Bloomberg, Regulation. Bookmark the permalink.